It has been such a pleasure working with you. Our journey toward our retirement lifestyle has been one that was far less painful than I had imagined it could be. In fact, it not only was painless but enjoyable and due in large part to you. Your patience with us as we attempted to find just the right home was unending. 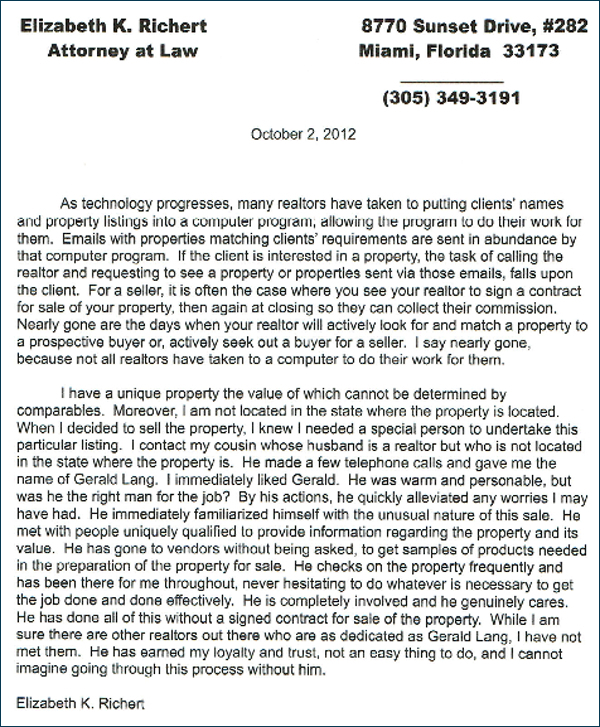 I have worked with many realtors over the past years. I was most impressed with your listening skills. You were able to accurately decode my sometimes cryptic descriptions of "feelings for a home" and interpret the info into something tangible and quantifiable. As a result you were able to narrow our final chapter of the great search to three finalists each very good candidates. 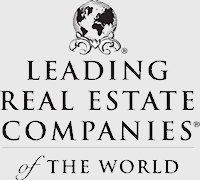 I was so grateful for your ability to combine the newest tools of your business with the experienced time honored component of real estate sales. The ingredients of emailed listings combined with your previewing the homes for us in advance is what helped to produce such positive results. In addition, once the home was under contract and even after it's closing, you continued to help us with items that exceeded the normal criterion for an agent/client relationship. Please feel free to use us as a reference to any of your future clients. In addition, rest assured that both Jim and I will send others to you for their real estate needs. Thank You for all you have done to make this adventure so pleasant. 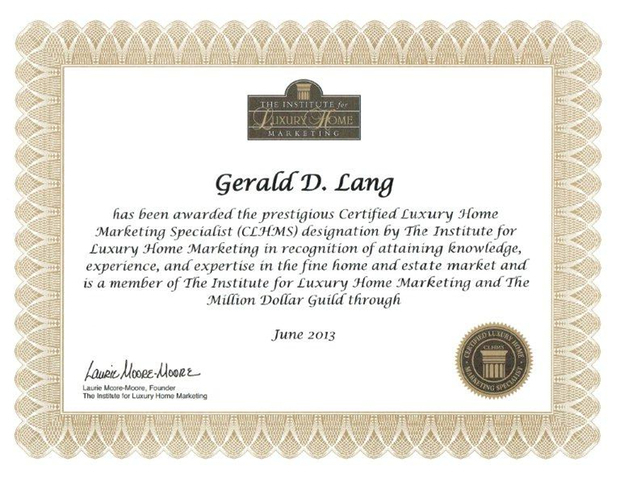 In October of 2010 we engaged Gerald Lang as a REALTOR® to find a suitable dwelling for purchase. The internet was used effectively to screen various properties. 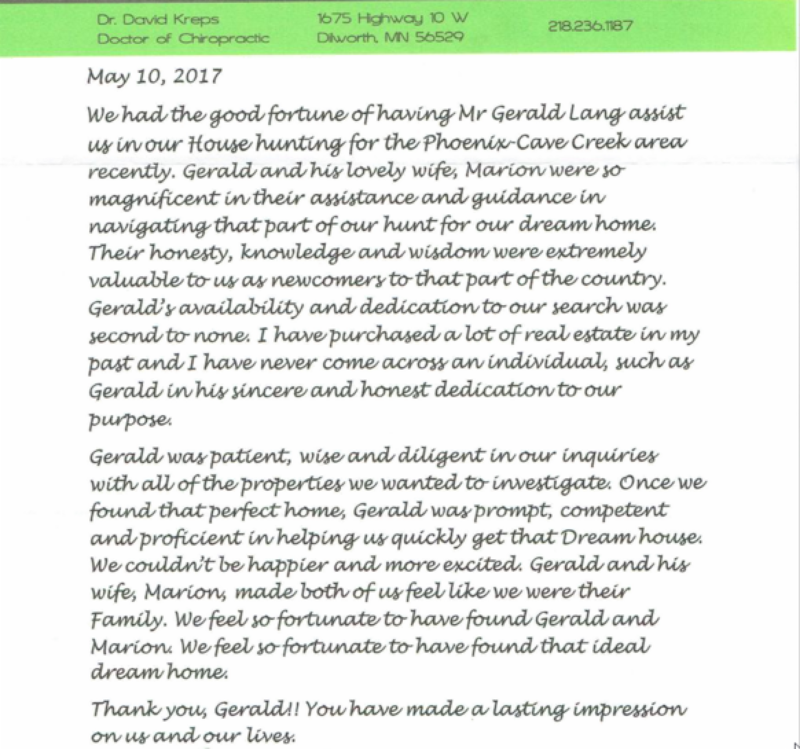 When we came to Phoenix from Michigan for the purpose of further screening available properties, Gerald was a gracious host. Once our choice was made, the appropriate paperwork was accomplished for the purchase of our new home in Phoenix. Thru the process of funding and closing Gerald ushered us thru the process even though the sellers tried to place some roadblocks which were effectively disregarded by us with Gerald’s advice. 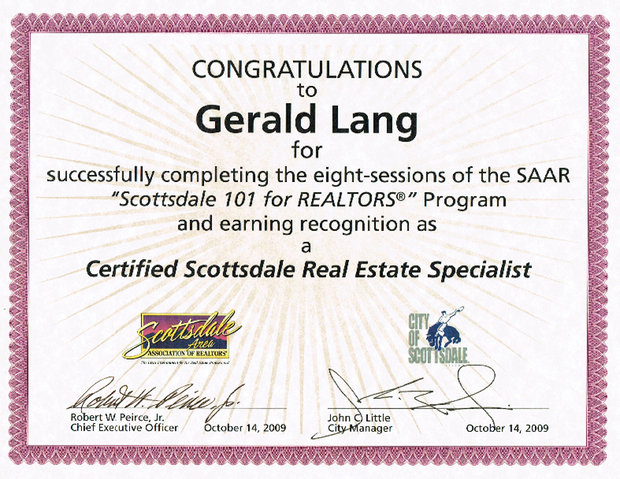 We would recommend Gerald Lang to anyone requiring the services of a REALTOR®. He was knowledgeable, informative, friendly, and timely.